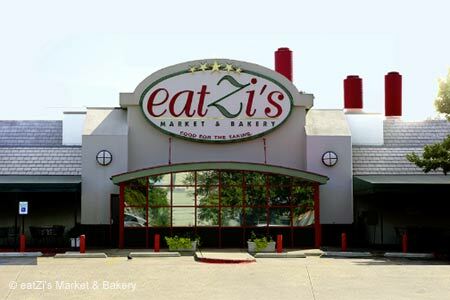 Pick up dinner to go or chill out on the patio with one of EatZi’s made to order sandwiches, an order of sushi or something fresh from the grill. : While it does have seating available indoors and out, EatZi’s isn’t technically a restaurant. Instead, it blazed the trail in Dallas for what’s become known as home meal replacement, one-stop shopping for dozens upon dozens of fully prepared meals, salads and sandwiches made to order, sushi, specialty breads---they’ll even sell you beer to go with their partially baked pizzas, and wine and flowers for a special occasion. There’s a fresh produce section, a coffee bar, an eye-popping selection of cheeses, and much more. It may be loud and forever crowded, but the intoxicating smell of bread baking and chickens roasting will make you glad you brought your credit card.